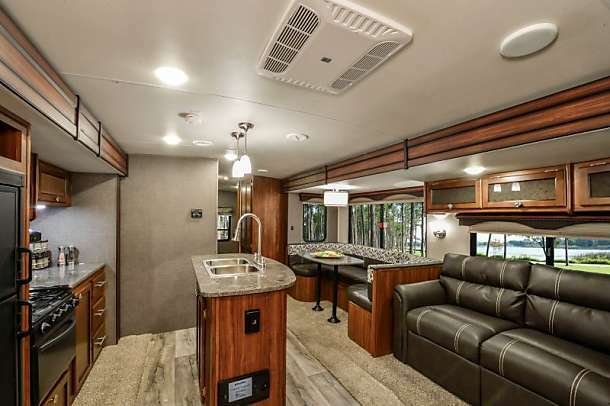 Kissimmee Orlando RV Rental offers you this beautiful large and spacious camper rental for your Disney’s Fort Wilderness vacation or for your camping adventure anywhere in Central Florida. Sleeps up to 9 people. We deliver, Set up and Pick up. You will be sure to love our M33's wide open living area and layout that gives your family room to relax and enjoy your stay away from home. Oversize windows let in lots on natural light and offer great views of the outdoors. 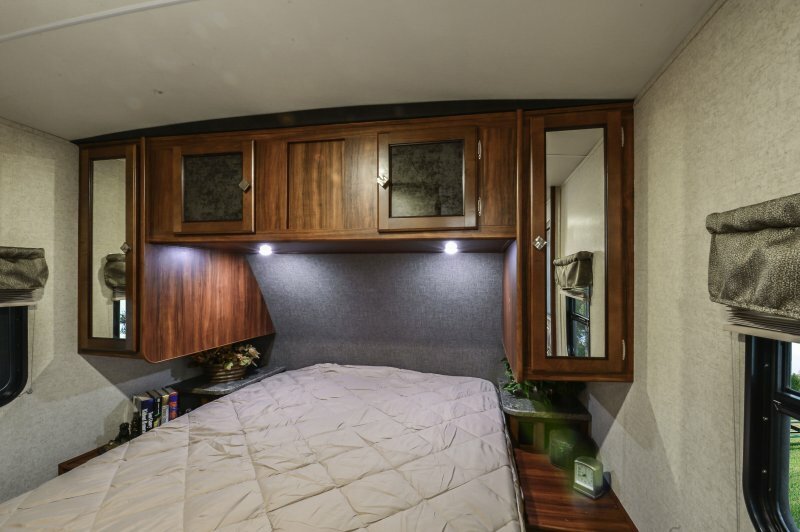 Two private bedrooms, outdoor kitchen and entertainment plus the ability to sleep up to 9 people comfortably makes the M33 one of our customer's favorites. 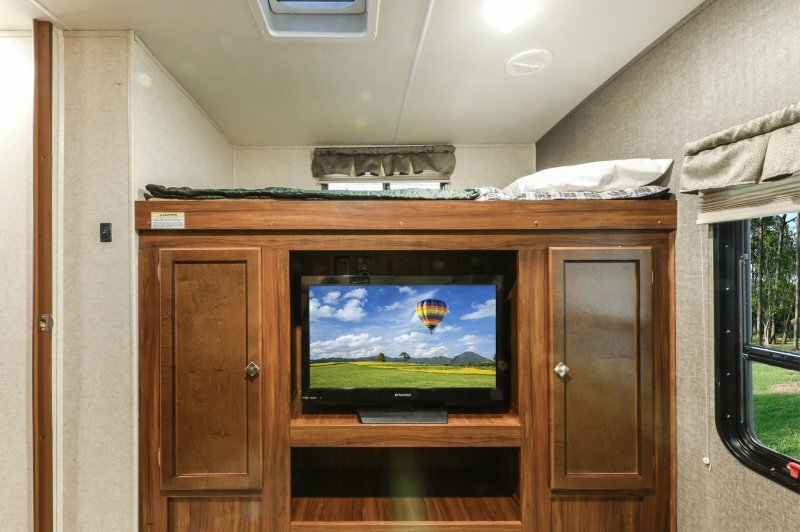 Your fully-outfitted RV rental will include everything you'll need for a relaxing time like pillows and bedding for all sleep areas, towels, paper products, pots, pans, flatware set, cutlery set, coffee maker, toaster, blender, rice cooker/veggie steamer, broom with dust pan, cleaning supplies/garbage bags, plus much more. Let us deliver, set-up, and all you have to do is show up and enjoy! Reserve your M33 today! 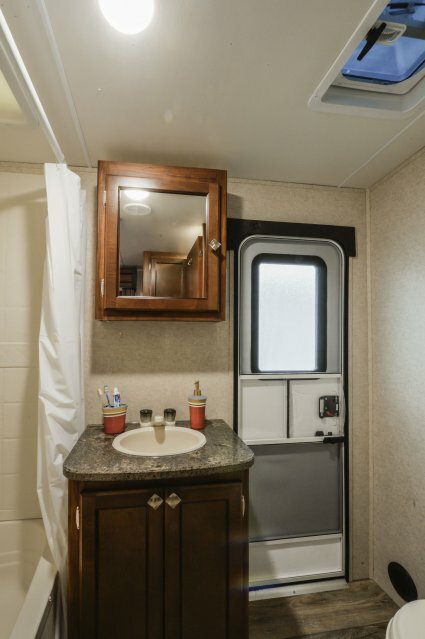 Reserve Our M33 Travel Trailer Today!